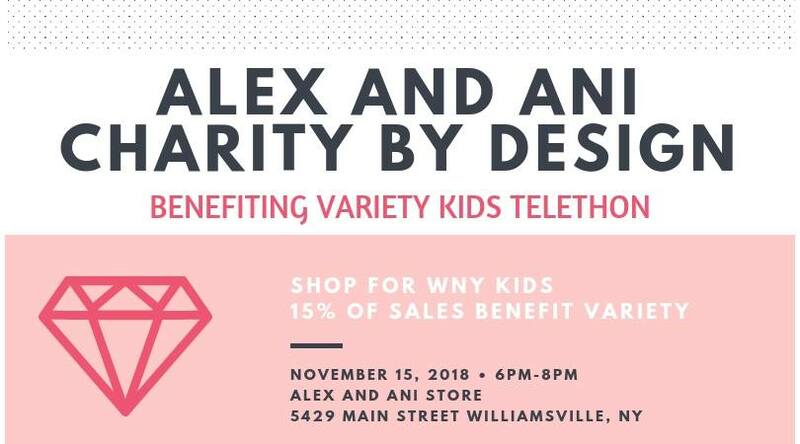 Come support the Variety Kids Telethon by shopping at Alex and Ani. 15% of all purchases made during the event will go towards Western New York kids who are sick, disabled, or disadvantaged. Get your holiday shopping started or find pieces you’ll enjoy for yourself!